Forget this view until June. The Washington area’s snow blanket has made for some really great pictures, and might make for some good sightseeing … were it not for the mess it has created. If you like long winter drives in Shenandoah National Park, forget it for now. The park’s main road is still closed, thanks to snow and ice. 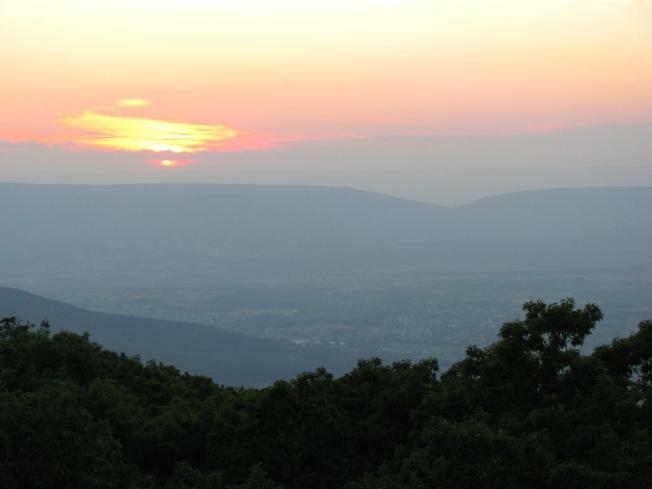 Skyline Drive snakes for 105 miles through the Shenandoah, bisecting the park from Front Royal south to Waynesboro. It's normally the perfect drive in spring, summer, winter and fall. However, the snow and ice have created a major roadblock on Skyline Drive, according to the Associated Press. Some park areas have 5- to 8-foot-high snowdrifts, said Shenandoah spokeswoman Karen Beck-Herzog. The recent string of major winter storms has made it pretty tough for snow crews to keep up. The big storms together with the smaller storms have really piled it on, making it difficult for road crews to keep the park clear, according to Beck-Herzog.